The 4 piece cot bedding bale from 4Baby provides you with a quilt, bumper, jersey fitted sheet and fleece blanket to help you add the finishing touches to the perfect child’s nursery. The bedding set surrounds your youngster with comfort and cushioning to provide them with an uninterrupted and comfortable nights sleep. The padded bumper helps to prevent bumped heads, arms and legs getting stuck between the rails and dummies getting thrown out of the cot, all of which can potentially disturb a peaceful slumber. The 4 tog quilt, on the other hand, provides warmth and comfort and both feature charming appliqués of Her Majesty's Royal Guard to stimulate little imaginations. 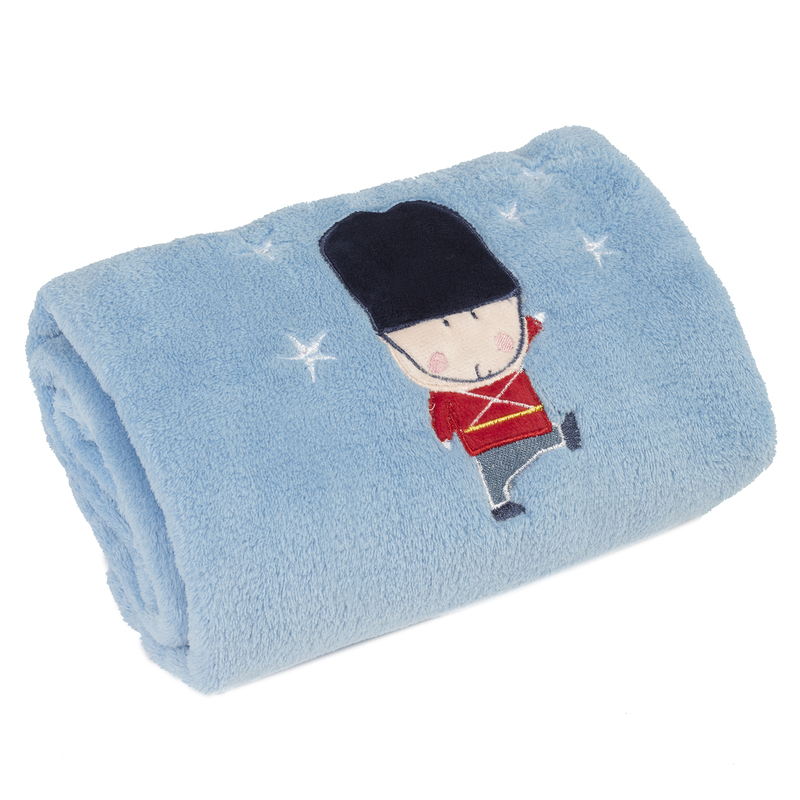 Providing extra warmth wherever needed, the super-soft Fleece Blanket also features a charming appliqué of a cute soldier set on a baby blue background. Suitable for use in cots, cot beds, prams and pushchairs, the blanket is wonderfully snuggly and coordinates perfectly with the Bizzi Growing Night Night Soldier nursery range. A Jersey fitted sheet is also included to finish off the set. Perfect for your little soldier!